The embassy noted that a series of official statements was made lately to the effect that the UK should use its "massive retaliatory capabilities" to counter Russia’s "aggression"
LONDON, September 11. /TASS/. 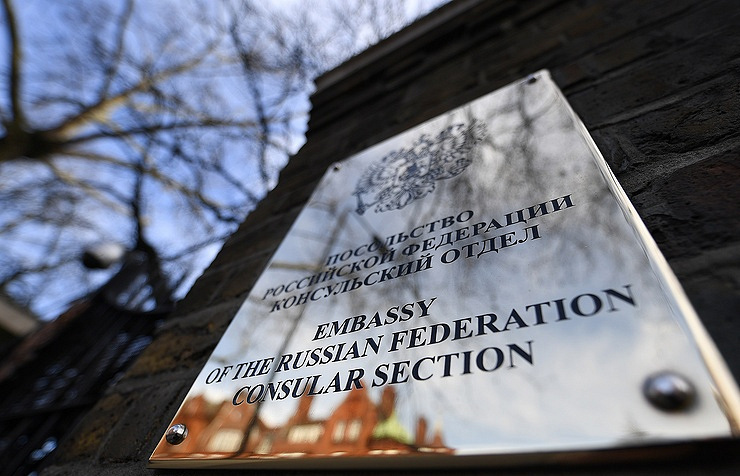 Recent statements by UK officials, including on the country’s readiness to "retaliate" against Russia, create an impression that the British public is being prepared for aggressive measures against Russia, the Russian embassy in London said on Tuesday. "Impression grows that the British public is being prepared for aggressive actions against Russia disguised as "defensive measures", with eventual consequences impossible to predict,"
Russian diplomats said in a statement. "We urge the British authorities to abandon such hostile rhetoric, and be guided by international law and common sense." The embassy noted that a series of official statements was made lately to the effect that the UK should use its "massive retaliatory capabilities" to counter Russia’s "aggression". "Such statements are reckless, provocative and unfounded," the statement reads. 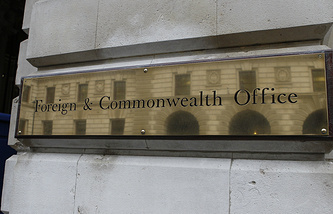 "It is worth recalling that Russia has made several proposals to the United Kingdom on different levels to establish cooperation both over the Salisbury incident and on cyberthreats," the embassy said. "Moreover, while some time ago the idea of cyber attacks against Russia was suggested by MPs and journalists, now it is being voiced by ministers and high-ranking officials." Government Communications Headquarters (GCHQ) head Jeremy Fleming said last week that the British authorities and their allies were prepared to "counter the threat" allegedly posed by Russia. In this context he mentioned a plan to "deploy the full range of tools", including Britain’s "offensive cyber capability" against Russia. Russian-UK relations have become increasingly chilly following the Salisbury incident earlier this year. According to London, Sergei Skripal, 66, who had been convicted in Russia of spying for Great Britain and later swapped for Russian intelligence officers, and his daughter Yulia, 33, suffered the effects of an alleged nerve agent in the British city of Salisbury on March 4. Claiming that the substance used in the attack had been a Novichok-class nerve agent developed in the Soviet Union, London rushed to accuse Russia of being involved in the incident. Moscow rejected all of the United Kingdom’s accusations, saying that neither the Soviet Union nor Russia ever had any program aimed at developing such a substance. On September 5, British Prime Minister Theresa May informed the country’s parliament about the conclusions that investigators looking into the Salisbury incident had come to, saying that two Russians, believed to be GRU agents, were suspected of conspiracy to murder the Skripals. The Metropolitan Police published the suspects’ photos, saying their names were Alexander Petrov and Ruslan Boshirov. Russian Foreign Ministry Spokeswoman Maria Zakharova said that those names meant nothing to Russia.